Galactus (he never calls, and when he does, it’s to eat your entire planet), Venom (that ooze doesn’t all stay on his body and it gets into everything), Ghost Rider (at least the Human Torch can control himself in a tender moment), Spider-Man (what, being a compulsively guilt-ridden workaholic isn’t enough of a reason?) and Daredevil. A shocking number of Daredevil’s exes are dead or suffered serious harm that they wouldn’t have if they’d never gotten horny for Hornhead. All in all, his relationships with best buddy Foggy Nelson and even his archnemesis Kingpin have been a lot more stable. 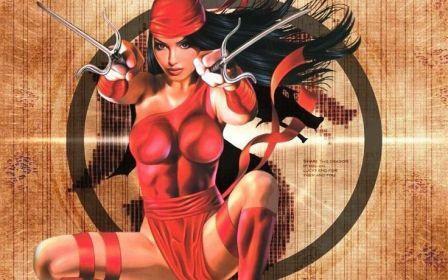 Here is Top 10 Girls Daredevil Has Dated, Dead or Alive. Meet cute: While an undergraduate in college, Matt met the winsome, lighthearted Elektra, whose life was not yet as fully darkened by tragedy as his was. But: After her father’s death, she became an assassin, and reappeared as Daredevil’s enemy/frenemy/Catwoman. These days, comic-book Elektra is more of an antihero than a straight-up villain, but she’s still a killer, meaning she and Matt can never be more than friendly exes. Dead? : We’ll avoid any spoilers for the Netflix series and just say that comic-book Elektra has died several times, most famously at the hands of Bullseye. Resurrected by Hand magic, she is kicking around now as a regular star and guest star in the Marvel Universe, but still.